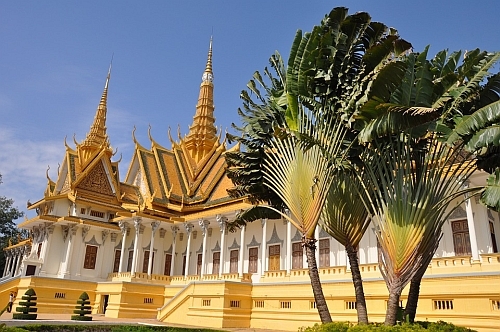 Similar to their recent Thailand deal, ANA (All Nippon Airways) has now dropped the price of their flights from Vancouver to Phnom Penh, Cambodia down to between $535 and $560 CAD roundtrip including taxes for travel in May. You can extend the layover in Japan, for an extra $108. You can also find open-jaw flights where you fly into one country in SE Asia, and home from another, for around $510 CAD including taxes. In most of these cases, you can also add an extended stay in Japan for an extra $100. For trips longer than 2 weeks, try using dates from different lines in the list below. - For the first and third flights, try using the same dates from the list of regular roundtrip dates to Phnom Penh in the section above. - Play around with the middle date to give yourself more or less time in Japan vs Cambodia. - For the first and last flights, try using the same dates listed for a regular roundtrip flight to Phnom Penh at the top of this blog post. - For the flights with the extended stay in Tokyo, you can play around with the middle date to spend more or less time in Japan. vancouver, yvr, flight deals, asia, southeast asia, ana, all nippon airways, phnom penh, cambodia and pnh.